Although their campaign has concluded, if you would still like to make a donation to support Pitt-Greensburg Habitat for Humanity, you may always do so here. On Friday, March 2, 2018, 25 Pitt-Greensburg students, alumni, and staff members will load up into three vans and drive to Lucedale, Mississippi for this year's alternative spring break trip. 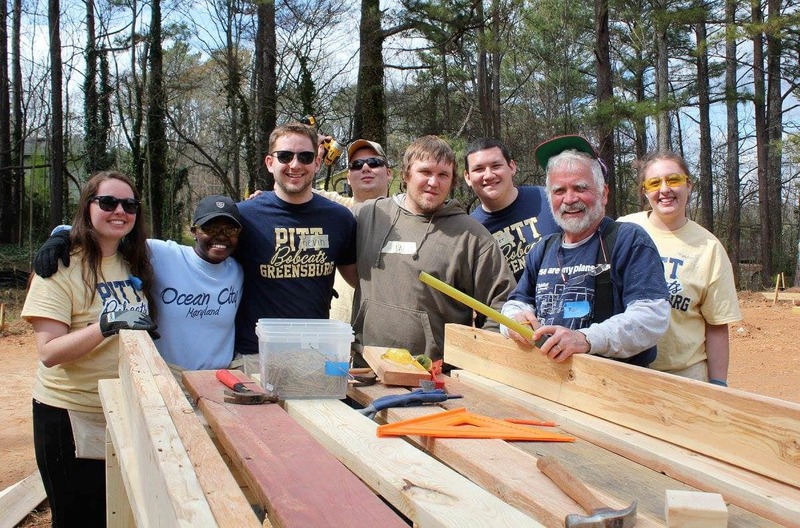 It will be the 14th consecutive year that Pitt-Greensburg students will travel south to help build homes with Habitat for Humanity. We will spend our week building simple, decent, affordable housing with George/Greene Habitat for Humanity in southern Mississippi. We will spend 6-8 hours each day from Monday through Friday working on a home with a local partner family. We will be doing a great variety of tasks ranging from building walls and roofing to putting in drywall or siding on the home. 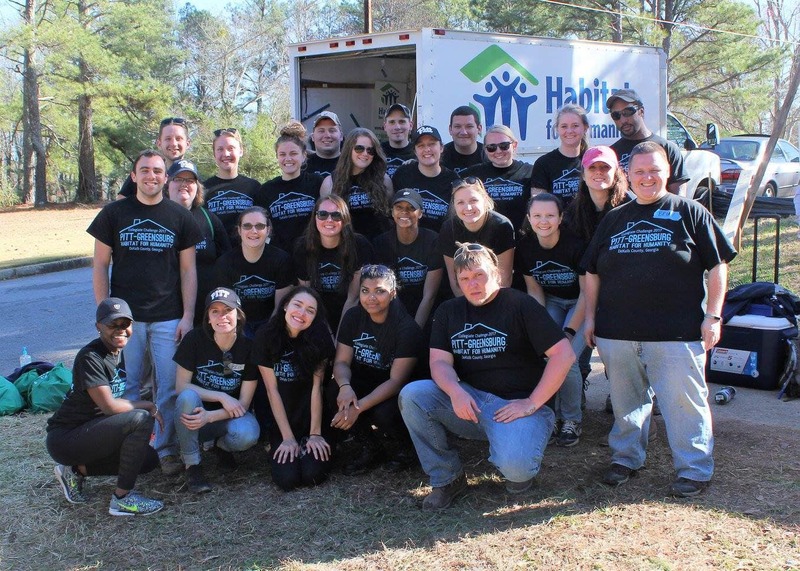 Our group of 25 volunteers will provide 800-1,000 hours of service while in Mississippi. Work site supplies, such as gloves, protective eye glasses, etc. Your donation will help us with these expenses and assure that we will have enough funds to have another successful Collegiate Challenge trip. Please consider donating at any level. Thank you! Nails are some of the smallest components of the construction of a new home; yet they are the most vital in holding it together. The roof of a home protects the family from the outdoor elements. It takes many roof shingles to protect a home. The windows to a home allow the family to see out into the community. They also allow warmth and sunlight in while keeping the cold out. Doors to a home provide the family with a sense of safety, security, and privacy. They allow the family to control who and what comes into the home. Drywall and paint are what helps provide a finished look to the interior of a home. It helps to create a welcoming and warm atmosphere in the home. A home truly becomes a home once it is furnished with appliances. Appliances are often amenities that complement the home and are crucial to a family's efficiency and day-to-day living. Siding on the outside of the home protects the home from the elements and also puts a finishing touch on the home. It serves dual purposes and assures that a home will be protected for years to come. The landscaping outside of the home helps extend a family's home into the outdoors. A yard provides a place for the kids to play, and other landscaping features increase a home's curb appeal.